"We have to design for what matters most – not just for our patients, but for our clinicians," said Boissy, to help create "not just a human experience, but humane. We must digitize moments that can be, and humanize moments that must be." Increasingly hospitals are cognizant that developing better patient experience is essential – not just for the obvious quality and safety reasons, but as a key competitive differentiator. And they're learning that better and more easily accessible data is key to making that happen. "Healthcare organizations recognize the importance of collecting data about the patient experience at the point of care, both to address issues that an individual patient might be facing and to identify problems within a department or business unit," said the report's author, Chilmark Research Analyst Brian Eastwood, in a statement. "To get buy-in from executive leadership as well as front-line staff, CXOs need to align the use of point-of-care survey solutions with short- and long-term strategies for improving the overall patient experience, whether it means boosting HCAHPS scores, addressing operational challenges, or aligning with industry best practices." 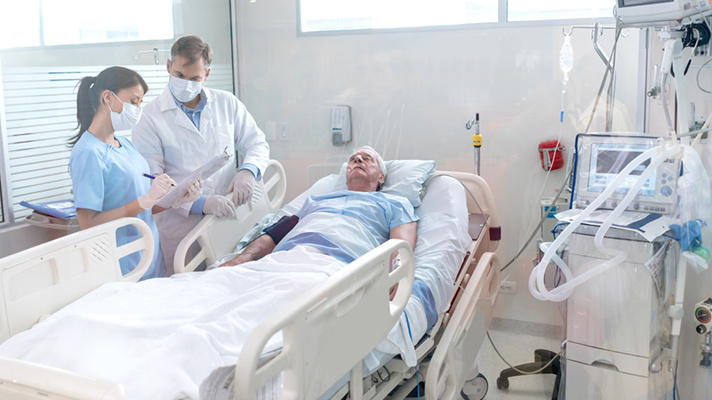 For instance one basic functionality would allow providers to "mitigate a bad experience shortly after discharge, if not while a patient is admitted," he wrote. "More advanced analysis will aggregate these instances into a recommended action item for best practice or protocol improvement." In addition, the report found that most CXOs are looking for platforms that are "extensible enough to be leveraged by as many inpatient and outpatient departments as possible," and that can integrate with electronic health records and business intelligence tools. As for usability and UX, Eastwood said it's important that health systems be able to repeatedly test the system in clinical settings to get the best performance for their patients. He noted that such point-of-care technology is "meant to obtain insight from as many patients as possible. This means end users will come from all walks of life: Young and old, urban and rural, sick and well, high-income and low-income, tech-savvy and laggard, and so on. "Continually testing the UX will help HCOs as well as vendors understand how different demographics respond to the survey – everything from the best workflow to the right style for the buttons to what colors get the highest response rate," he explained.